L.H.O.O.Q. AT YOU! Are you ready~maᴉde? 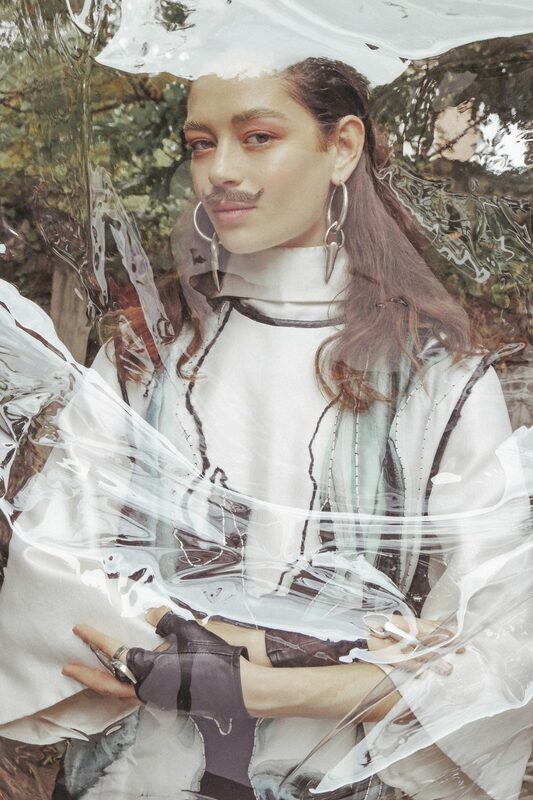 is a fashion editorial based on Marcel Duchamp’s ready-made called L.H.O.O.Q., a Freudian joke in which he simply draws a mustache on a mass-produced postcard of Leonardo Da Vinci’s La Gioconda (Mona Lisa). Fashion’s gender subversion has been clear when it comes to shoes, trousers, dresses, hair, makeup, transparencies, etc… They are all shared within within the umbrella of sexes and gender identifications. Fashion allows us to love and loathe, to live our fantasies and add magic to our realities, to live art, to live anti-fashion itself; what about all those persons out there (can’t only talk about girls and women) who once in a while want to wear a mustache, or a beard… as if it was a wig. Can’t they? It’s already-made, so why not. What is female and what is male, what is neither and what is both, what is real and what is an extension of reality… what is an accessory anyways? Adda from Wilhelmina looks beautifully handsome on this shoot, we bet she can get away with murder at the club with that mustache! Editorial shot by Anibal Mestre. All Victoria Hayes Autumn Winter. Victoria Hayes is one of the most promising emerging fashion brands currently in New York. Her avant-garde expression, attention to detail and craftsmanship is showcased season after season, and especially her AW16, where she incorporated leather work, waving and print intricacy. The garments are painting like with a bold expression, to shield their wearer within their external environment. This collection was carefully chosen for this editorial to enhance its concept and story. Thus we wanted to revive the pieces and put them into a new character and expression. Investigate what it demands from a collection to be able to be featured as a permanent display, just like a painting. An editorial experiment in which we are hoping that a pilgrimage of visitors will form constant lines in front of this Mona Lisa, just like the one at Le Louvre.